It's back to school time! That means no more lazy days of summer. It means every morning you need to be up by a certain time ready to make breakfast and have clothes ready for school. You probably spent a small fortune on back to school clothes. And if your kids are anything like my kids, they have already managed to ruin some of their beautiful, new clothes. My kids clothes end up with it dirt, grease, grass stains, ketchup, and sometimes even blood stains on them. Many times I run them through the wash, and they still have several stains on them. After just wearing the clothes one time, they end up in the stack of play clothes because they have stains that just won't come out. This school year - this is not a problem! 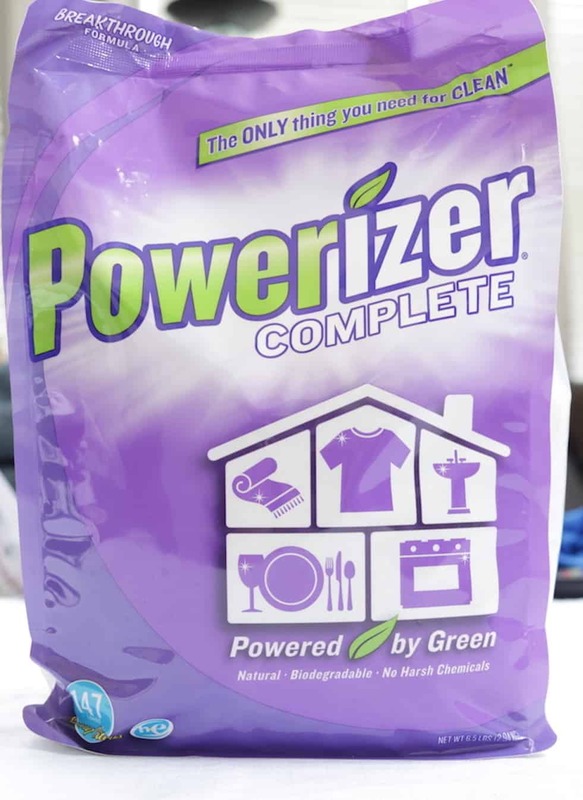 Now that I have Powerizer Complete in my home it tackles stains that my old laundry products didn't touch. As you will see in the examples below - everything got clean the first time, and the brand new clothes are not destroyed! Grab a spray bottle and fill it with water and the amount of Powerizer Complete powder based on the size of your bottle. Spray any stains and let them sit for a few hours before you wash them. I was able to use this pre-treatment spray on clothes that had been washed and dried serval times - and it still worked! 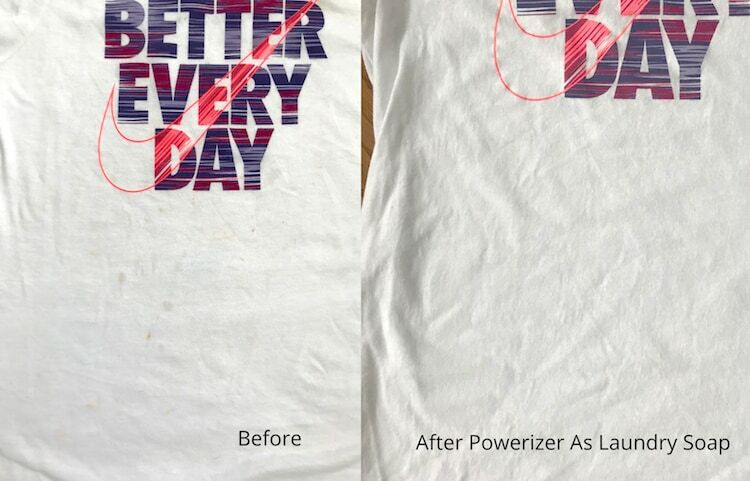 Replace Powerizer Complete with your regular detergent and let it work its magic in the washing machine! Look at this white t-shirt that was worn to school. It had a variety of stains on it including grease, ketchup, and dirt. With a scoop of Powerizer in the laundry this shirt came out like new again after just 1 wash. Now special pre-treatments and no bleach was used. The new formula of Powerizer Complete just launched and it's better than ever! Plus it now comes in a 6.5 bag instead of a plastic tub. This was to help reduce the amount of waste going into the landfills. Powerizer Complete was ranked the best for No Soil Remaining, No Spots and No Film left. 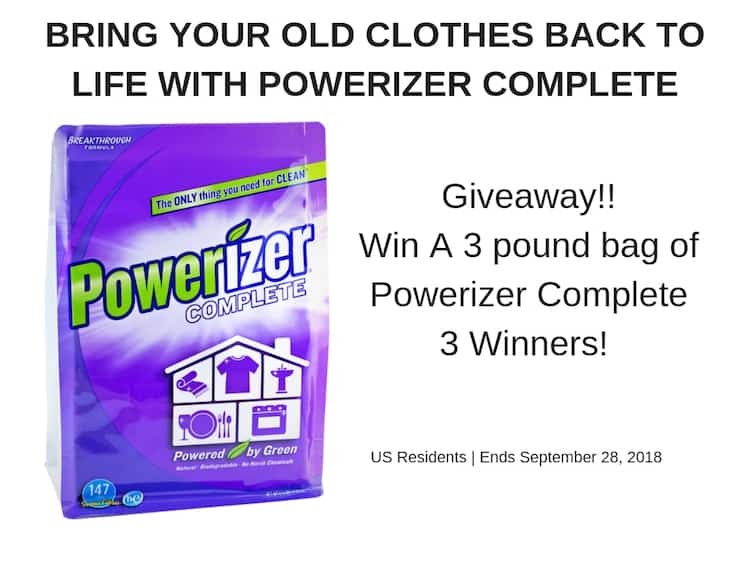 Powerizer Complete is not just for laundry! It can replace most of your cleaning products saving you money, time, and space! Clean out your cleaning cabinet and replace it with 1 powerful cleaner! 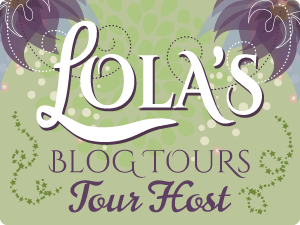 Stay Connected - They share so many great cleaning tips on social media!